Beautiful building lot with a main Lake view and located on a common park with boat docks right out in front. Level lot with nice trees and beautiful homes on both sides. The common park is maintained by the POA and offers lots of room to let the kids play. 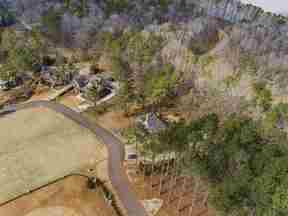 Just a short golf cart ride away from the swimming pools, restaurant and golf course. A $30,000 Golf Membership is included in the price. All information deemed reliable but not guaranteed and should be independently verified. All properties are subject to prior sale, change or withdrawal. Neither listing broker(s) nor Keller Williams Lake Oconee shall be responsible for any typographical errors, misinformation, misprints and shall be held totally harmless. ©2019 Lake Country Board Of REALTORS®. All rights reserved.